Anyways, as the film approaches the $1 billion mark and the soundtrack has topped the Billboard 200 for two straight weeks, Kendrick Lamar sat down with BBC Radio 1’s Clara Amfo for a brief conversation following his car-smashing BRIT Awards performance. 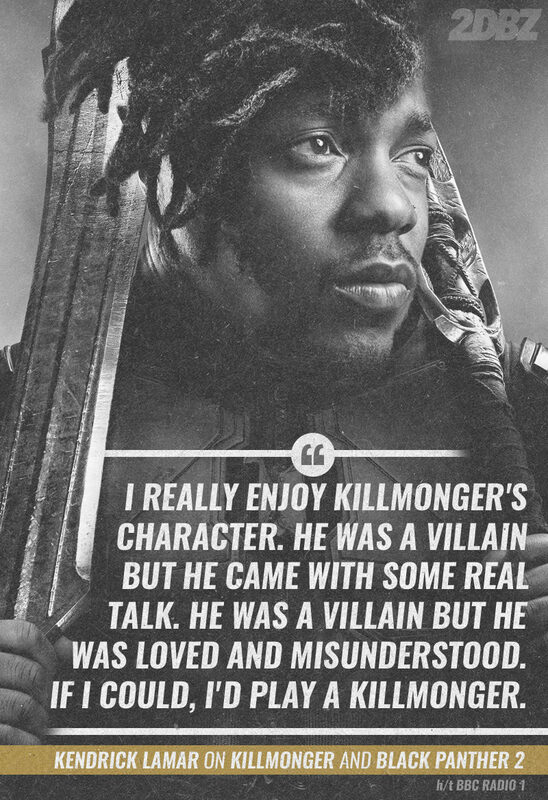 During their time together Kenny expressed an interest in landing a role in Black Panther 2 (because we know it’s going to happen now), preparing for live shows, finding inspiration, his GRAMMY performance, and more. Check some highlights out below and head here for the entire interview.